At school, kids catch colds and flu easily. Many parents give their kids a vitamin C supplement to build their immunity. Nutritional deficiency, stress, and too much sugar are the most common causes of depressed immunity. Kids can eat lots of organic fruits and vegetables, which are nutrient dense, jam packed with vitamins, minerals, protein, fiber, healthy fats, and phytonutrients, to keep well. Kids need to wash their hands several times a day to prevent the spread of colds and flu at school and at home. Kids with colds need to drink plenty of water and lots of fluids. At the first sign of a cold, kids can drink a cup of goldenseal and echinacea tea. After the symptoms appear, the top fluids to battle colds and flu are water and Organic Traditional Medicinal Wellness Teas, such as Gypsy Cold Care, Breathe Easy and Throat Coat. Green tea, echinacea, elderberry, slippery elm, peppermint, and chamomile with ginger, lemon, or honey added to help with the cough are soothing drinks to help kids feel better quickly. A tablespoon of apple cider vinegar mixed with a teaspoon of honey can kill the bacteria that causes sore throats. To battle the sickness, kids can stay home from school, dress warm, gargle, take a hot bath, and get plenty of sleep. Kids can use a neti pot, which flushes the mucus and debris from the nose and sinuses with a saline solution to reduce germs and congestion. Kids can eat tasty fruit smoothies that are rich with antioxidants and organic apples with the skin, which has antiviral, antioxidant, and anti-inflammatory properties. 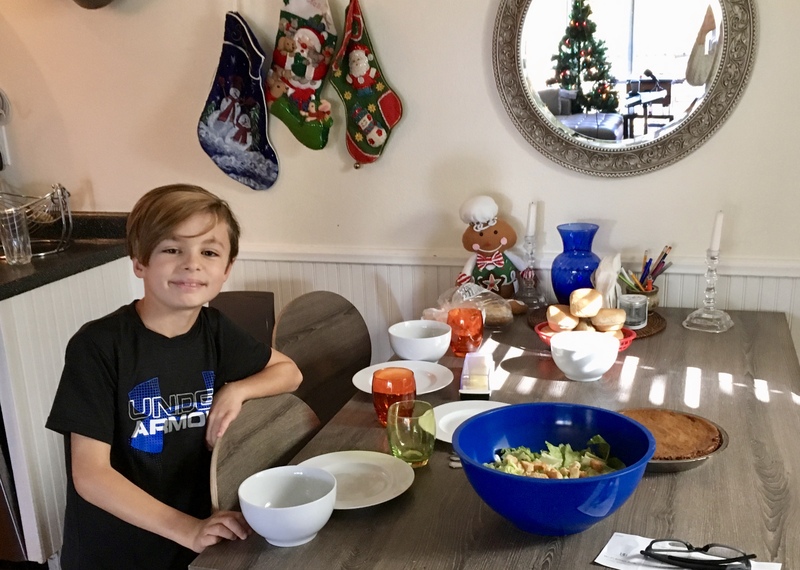 Kids can enjoy a soothing organic soup with 2 cups mushroom broth, 2 cloves garlic, ¼ red bell pepper, ½ cup kale, and ¼ cup whole wheat penne pasta. Fresh organic salsa with cayenne pepper acts as an expectorate and is yummy as a dip for a sliced organic raw fruit and veggie platter. When kids go back to school, they need to have tissues to cover their coughs or sneezes and prevent the germs from spreading to their friends. They can drink lots of water to ward off germs from other sick friends, and get plenty of fresh air and exercise.